Sighthounds are fascinating dogs with a history of being selectively bred for hunting by sight and speed, which is in contrast with scent hounds who were selectively bred to hunt by scent and endurance. Also known as gazehounds, sighthounds are talented dogs who come equipped with special features that distinguish them from other dogs, making them quite unique masterpieces of nature. 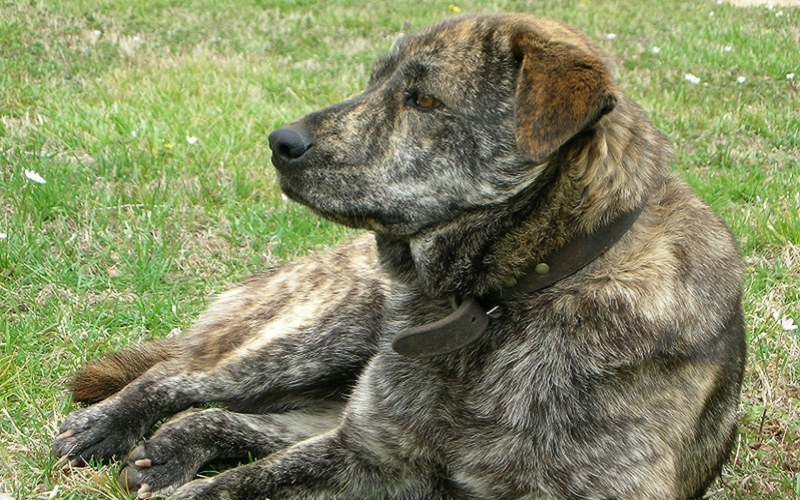 One of their most remarkable features are their eyes, which unlike other dogs, have some distinct traits which allowed them to excel in what they were bred for. Sighthounds are dogs who are believed to descend from ancient specimens originating in Africa, or possibly Arabia. Their habitats for the most part consisted of wide-open lands in the desert. Their main job was to hunt down and chase prey animals such as deer or hare running across the desert. Upon spotting prey with their keen sense of sight, these dogs had to sprint into action often reaching speeds of just over 40 miles per hour. The practice of hare coursing (sighthounds chasing hare) for hunting or sporting purposes was popular in Europe and restricted to landowners and the aristocrats, considering that back then, owning sighthounds was prohibited to any members of lower social classes. Spotting prey animals across wide open lands required special vision. Rabbits in particular can be quite fast and they like to camouflage among the cacti and brush. The eyes of sighthounds are therefore specifically crafted for the task and share special features that make them excel. 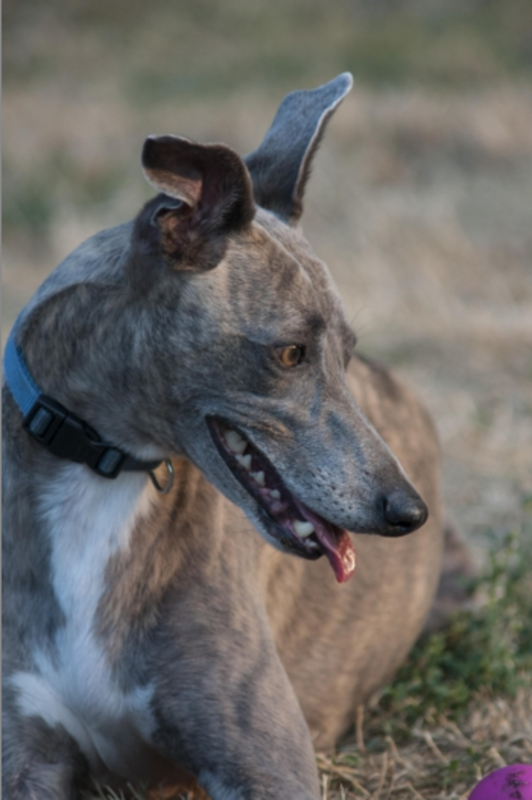 For instance, sighthounds are known for having what’s called a “visual streak.” What exactly is a visual streak and how did it help these dogs accomplish what they were bred for? The visual streak is a horizontally aligned area in the retina lined up with ganglion cells. Not too long ago, there was belief that all dogs had their ganglion cells distributed in such a way, but a study conducted by Paul McGreevey,Alison Harman and Grassi T. D, revealed that only dogs with long noses have a visual streak. The visual streak is therefore a characteristic of dogs with long muzzles who needed to heavily rely on their peripheral vision to hunt. It permits a wide field of view with excellent vision allowing these dogs to easily detect predators on the horizon. The field of vision varies between animals and depends to a great extent on eye placement. Generally, among prey animals (think cows, zebras and horses) the eyes are set wide apart so to allow them the widest field of vision possible (especially when they are grazing) so that they can watch for danger in all directions. This lateral eye placement also allows them to watch in two directions at once. Predators, on the other hand (think cats, primates and owls) have eyes that are placed closer in front of the face which instead allows them more depth perception, something that comes handy when they need to track and pounce on their prey. Interestingly though, when it comes to sighthounds, they are an exception to the rule. Their narrow heads allow their eyes to be quite lateral which gives them quite an impressive field of vision, in particular to the sides and far in front of them. A greyhound is known for having a field of vision of up to 270 degrees, which is quite impressive compared to us humans who have a mere 180 degree field of vision. The greyhound even beats other dogs, considering that the average dog has a field of vision around 240 to 250 degrees. Therefore despite being carnivores, it can be said that sighthounds are gifted with a herbivore field of view. Most likely, this feature was crafted in such a way so to allow them to scan the horizon at a distance in search of the slightest movement of prey. American Kennel Club, A New Look at Canine Vision, by Bud Boccone, retrieved from the web on March 31st, 2016. Museum of Osteology, How to “Read” a Skull: Eye Placement and Size, retrieved from the web on March 31st, 2016. 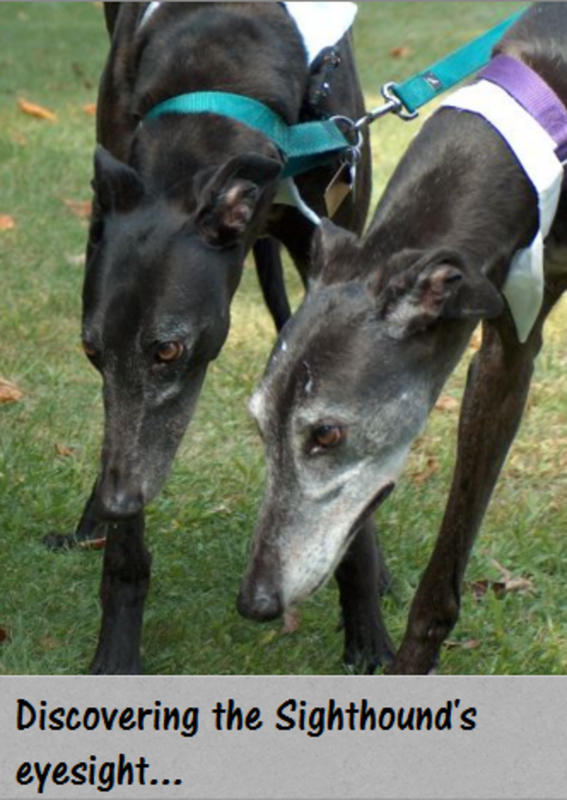 Greenhounds, What is a sighthound? retrieved from the web on March 31st, 2016. What’s Your Dog’s Play Style?